Defensive coordinator Todd Grantham looks over his play sheet. Football defensive coordinator Todd Grantham has reportedly been hired by Mississippi State for the same position. 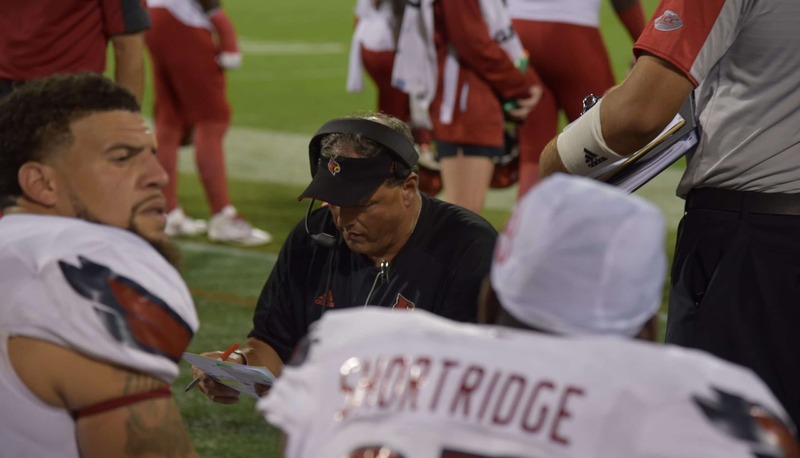 Grantham spent three years with the Cardinals, joining coach Bobby Petrino in 2014. This season, Louisville finish 11th in yards per game and 34th in points per game. U of L allowed 103 points over their final three games, all which they lost. 2016 produced better numbers than 2015, but Grantham’s best statistical defense was in 2014. Over his three years, Louisville allowed 22.7 points per game and 310 yards per game. Against ranked opponents, Louisville allowed 32.7 points per game under Grantham. The Cardinals are 1-7 in that span. Known for his aggressive play-calling, Grantham is headed back to the SEC. He spent three years at Georgia prior to coming to Louisville.